Are you a winner? 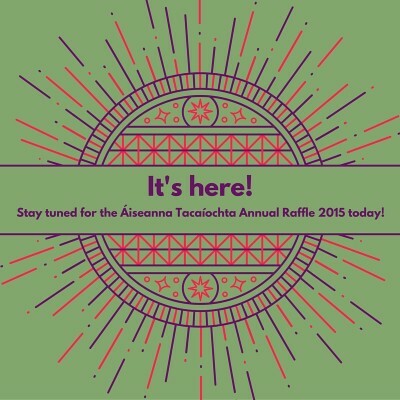 Results of our Annual Raffle 2015 are announced here today! We’re very excited here in Áiseanna Tacaíochta (ÁT) to announce the winners of our Annual Raffle 2015.
winner of our top prize of a trip for two to New York (ticket number: 07740). We’d like to sincerely thank every person who supported our raffle , whether by volunteering, buying tickets, making donations or helping to spread the word. We’re still totting everything up, but almost €15,000 has been raised so far, with every euro going to support people with disabilities to live independent lives in their own communities.